If you haven’t heard of Keto OS by Pruvit and your living the Ketogenic lifestyle then you must be living under a large rock that you rarely venture out from. We ordered it through and received it the other day. This is a vblog that I will update hopefully daily to track the effects it has on me and my ketone levels. Considering I haven’t been able to find any negative reviews on this product yet, I have very high hopes, so I am keen to see what it can do. 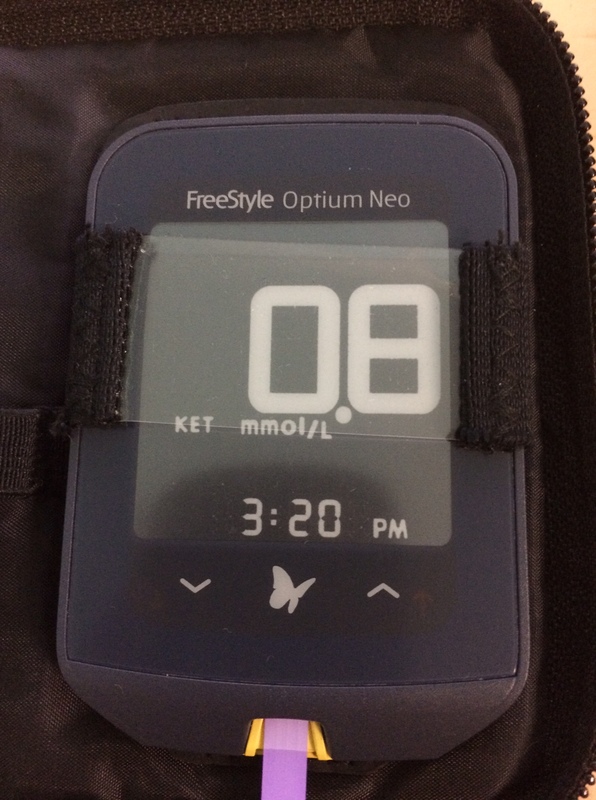 I usually sit between 0.5 and 1.7 as far as ketones go, so I’ve generally been in ketosis but on the light side. My main hope is to get above the 2’s and up to 3 if possible. I will be having one to one and a half serves per day depending on my activity level. I will be intermittent fasting till mid morning or lunch with a single scoop of keto OS upon waking in the morning. I will try and do cardio before I go to work in the mornings as well, even if its only a 40 min walk. I will test my Ketones just before I have my first meal. I have cut my diet back to 120g tuna and 80g avocado for my first & second meal, I may have chicken if I get over the tuna. If needed I may have another half scoop mid afternoon before my evening workout – I will try and test blood at this point if possible. I will do strength training as usual 4 to five nights a week for around an hour. I will try and maintain this as best I can. I will avoid having coffee or MCT oil during this experiment. So at the end of the first day the results, were not what I was expecting. 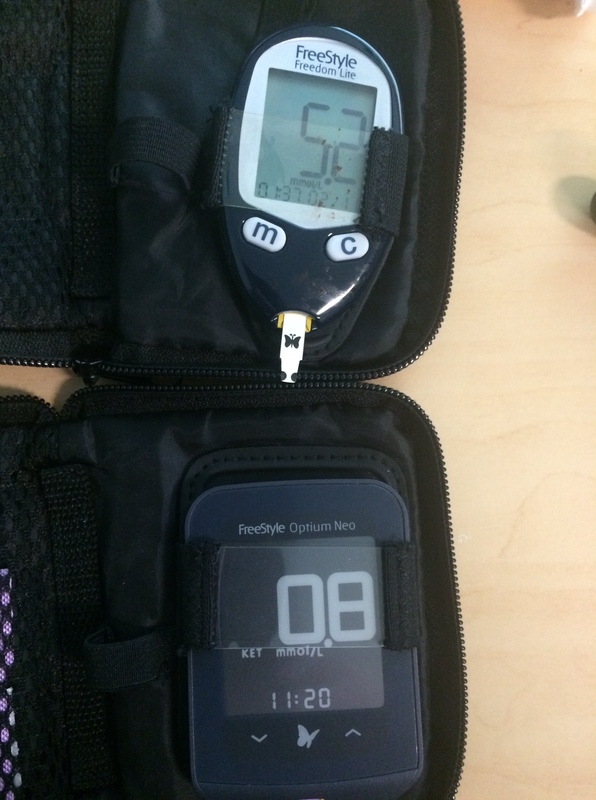 Blood Glucose Levels – Slightly elevated from 5.9 upon waking, to after workout and keto OS 5.8 mmol. Ketone Levels – 0.2 mmol. 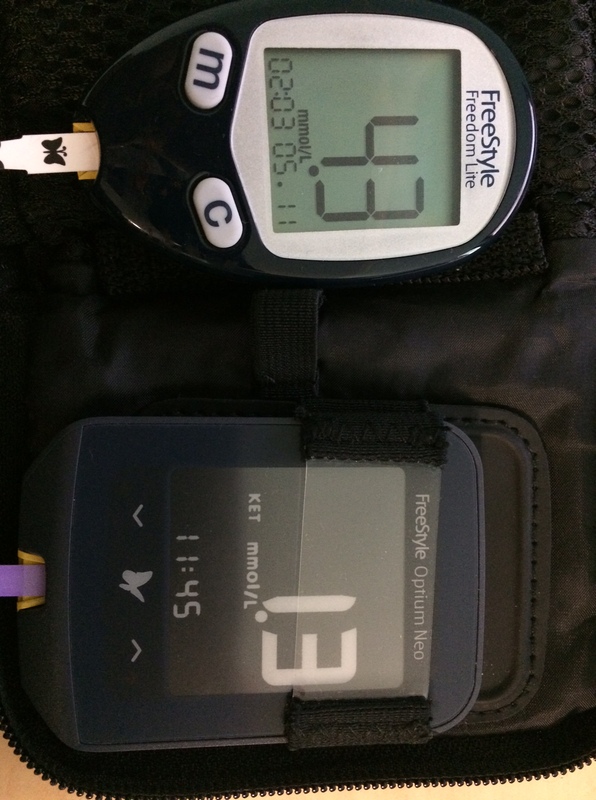 Not even close to even nutritional Ketosis – wish I had tested the day prior to this blog so I had a recent reading to go off. Did Strength training for around 1.5 hours. Did Cardio which was a 2 km run. I drank plenty of Water through out the day, about 3 litres or more. My calorie intake was about 1400 tuna, avocado, rib eye steak, cauliflower and broccoli. The rest of the day/night was fine and I ended up in bed by 10 PM. Whats my first day on Keto OS feel like? A mid range pre-workout with no noticeable results in ketone production. So at the end of the second day the results were much the same as day one. Ketone Levels – 0.4 mmol. Still not nutritional Ketosis. Did Cardio which was a 1 km run. My calorie intake was about 1400 tuna, avocado, rib eye steak. Now I did have another half scoop later in the day, and it did keep me awake this time, however the energy levels were not the same as the first day, I was much more flat. Energy wasn’t as good, hunger was less, which meant I ate less. Was not as irritable mood wise. Ketones went up but… yeah no much. Tomorrow should be interesting, I have an early start, a full day of work, then Personal Trainer session at night. Will be good to see how my energy goes through out the day, and if I need that extra half a scoop. Had coffee with 1 tablespoon of full cream. Felt very tired this day, ended up going for a session at the gym that night so I had an extra half scoop of Keto OS to boost my energy. kept my diet much the same as the first 2 days barring the coffee with cream in the morning. Twisted my angle bad on my jog. Food intact and meal was the same as every other day. Woke up had 1 scoop of Keto OS, did not workout this morning as I was still in a lot of pain. Woke up had 1 scoop of Keto OS, did not do morning cardio as my foots still injured. Had extra half scoop and went to gym and did 1h 15 min workout. So one more day to go for my first seven days on keto OS… still under whelmed at this point. Lots of money for not so much on the results side. Below are the pics of my daily results. Am I in ketosis? Yes. Was it caused by Keto OS? don’t think so. How can I be sure? Well 1.3 to 1.8 is common for me, living on a LCHF diet and doing a morning walk while intermittently fasting. The point of me buying Keto OS was getting into deep ketosis with ease, as they are quite happy to promote there product does. Why are all the trusted keto / lowcarb sites backing this product? Well I bought it off the back of people I trusted the opinion of saying it worked and posting / advertising it on there site. As yet I cant understand why any site serious about giving people good information, has not had a similar experience as yet with this product. Am I calling it a scam? Not just yet… time will tell I guess. Had extra half scoop and went to gym and did 45 min workout. I have lost 600g of weight. I feel generally good, have started needing to take that other half a scoop in the afternoon to get to the gym with energy. But still not sure if its helping ketone production at all. I will have a day off it tomorrow, and record my bloods. I will post with reading and the plan for the next week, as I haven’t decided if its best to keep to this or mix it up to try and get better results.